Endemic corruption is one of the biggest hurdles facing the developing world on its path to economic prosperity. CIPE believes that the private sector, which one of the biggest victims of corruption, can also play a key role in stopping it. That’s why fighting corruption is often at the core of our work with the private sector around the world. Combating corruption requires more than just harsh punishment for individual perpetrators: it is a systemic problem that needs a systemic solution. For example, consider a corrupt tax collector who demands bribes from businesses under threat of harsh penalties. Prosecuting this corrupt official will help a little — until another takes his place. But simplifying the tax code, automating payments, and reducing the individual discretion of tax collectors can eliminate the opportunity for corruption altogether. These are the sorts of systemic changes that CIPE’s partners advocate for in order to stamp out corruption. 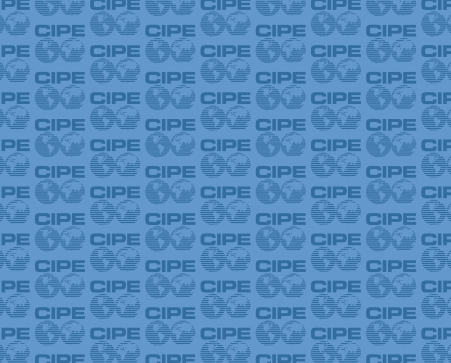 This week, in honor of International Anti-Corruption Day, the blog will focus on how the CIPE approach is effectively fighting corruption in countries around the world — including exciting new efforts focusing on value chains. Stay tuned! Jon Custer is Social Media and Communications Coordinator at CIPE.